Philip Morris is threatening legal action. THE GOVERNMENT IS facing a legal stand-off with three tobacco giants over the introduction of plain-packaging. Philip Morris, Imperial Tobacco, and Japan Tobacco Limited have all sent legal letters to the Government on the issue, threatening varying levels of action, Minister for Children James Reilly has said. 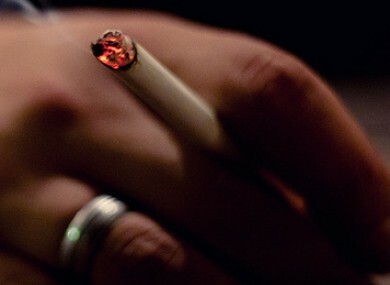 The latest, Philip Morris, has written regarding the cost of manufacturing plain packaging. “They would seek to intimidate us, with the billions they have in turnover,” Reilly told Newstalk Breakfast. We’re a sovereign state, a republic, and we reserve the right to have public health policies that protect our people, and in particular our children, from ever taking up this killer habit. He noted that the Bill was carefully drafted, with legal advice sough throughout, with the view that it would have to be defended in the courts. “[The companies] may take us to court, we will defend it robustly, and we will peruse them for our costs,” Reilly added, stressing that while this may take some time, there will be no delay in the introduction of this legislation. President Michael D. Higgins last night signed the legislation into law. From May 2016, it will be illegal to manufacture branded packages for the Irish market, and from May 2017 it will be illegal to sell them, meaning there is a ‘wash-out’ period. Reilly, was who instrumental in drafting this legislation during his time as Minister for Health, said he will be calling for another increase in the price of cigarettes in Budget 2016. He added that he would like to see more local authorities roll out their own initiatives, such as banning smoking in areas where children congregate. “There are 5,200 Irish people dying every single year of premature death and avoidable death, because they have smoked,” Reilly noted. Email “There's now THREE tobacco giants threatening to sue the government ”. Feedback on “There's now THREE tobacco giants threatening to sue the government ”.